We want to do all we possibly can to make the occasion go as smoothly as possible. A wedding is one of life’s great moments. It is a time of solemn commitment as well as celebration. God intended marriage to be a creative relationship, as his blessing enables husband and wife to love and support each other in good times and in bad. For Christians marriage is an invitation to share life together with Jesus Christ at the centre. It is based on a solemn, public and life-long covenant between a man and a woman, declared and celebrated in the presence of God and before witnesses. 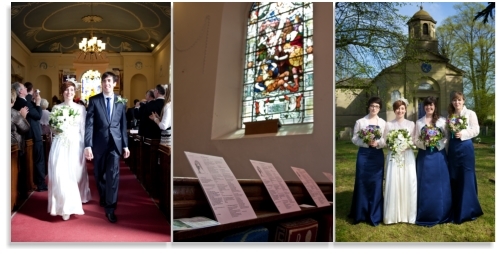 The rules governing marriage are quite complex but basically if you and your partner have not been married before and either live in the parish or have a qualifying connection you can be married at St. Bartholomew’s church. However if you do not have a qualifying connection you could still qualify by going on to the Electoral Roll. If you have been married before we would be delighted to offer you a service of blessing. Whatever your personal situation it’s important to put marriage into a spiritual context, so we encourage all couples to come to church as often as they can as they approach their wedding day. We look forward to seeing you! Do visit the Church of England website.